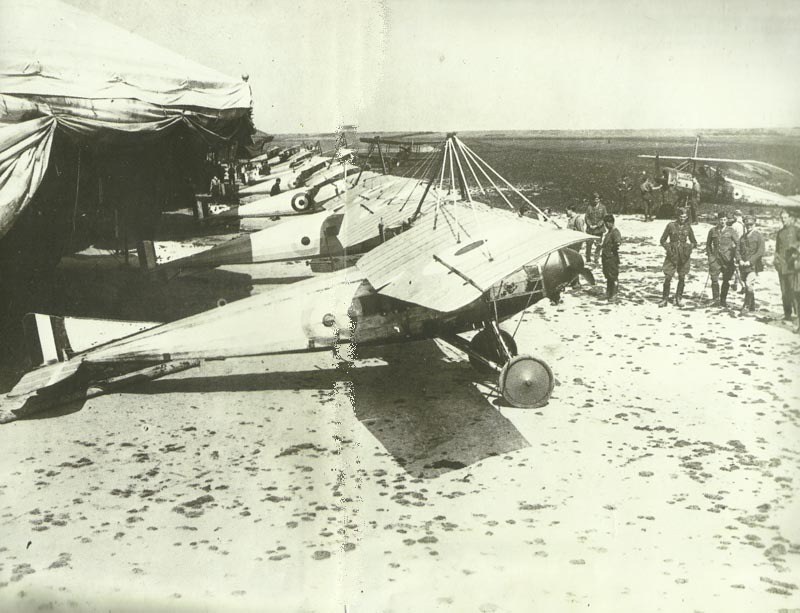 Airfield of Royal Flying Corps with Morane-Saulnier fighters. Battle of the Somme: British repulse counter-attack west of Lesboeufs. Western Front: 60 RFC fighters (3 lost) destroy at least 4 German aircraft, in group attacks on Cambrai area airfields. France: Dunkirk has 17 casualties to German bombs (1 raider shot down). Germany: 2 French aircraft drop 12 bombs on Krupp, Essen. Canada: £20 million war loan; £16m over-subscribed.